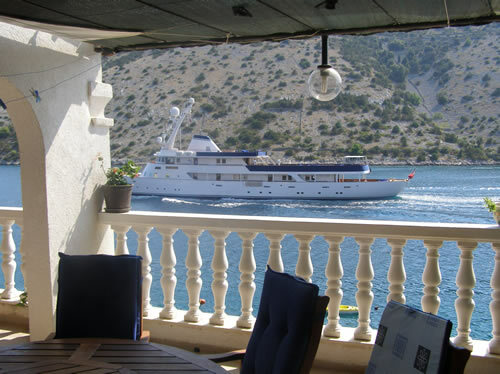 For vacation in the perfect calm of Dalmatian coast with harmony of crystal see and sun where relax of the body and the soul is the way of living rather then imperative Villa " Carmen " ,apartments for rent in Croatia, is the right place. 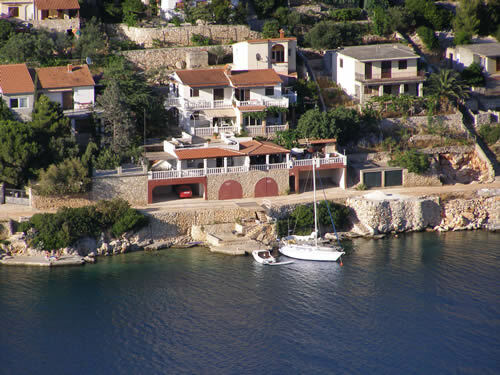 Villa " Carmen " ,private accommodation in Croatia, lies in the peaceful bay of Vinisce a few meters from the sea where you will not need a car to go to the beach or to fight for your place under sun..
Its terraces offer you enjoyable views of sunny mornings or silent nights full of stars. 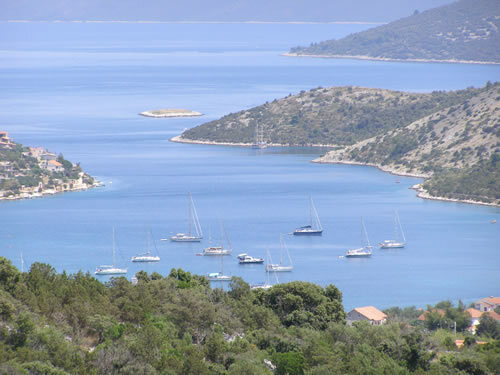 Vinisce is a small fisherman settlement very close to famous Roman cities Split and Salona or medievale town Trogir. 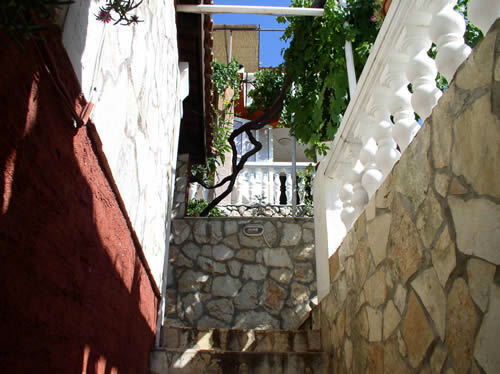 If you like to discover real spirit of a Dalmatian restaurant, a local food, a wine of the house, a fresh fish there is no need to leave Vinisce or Villa " Carmen ", just order directly from the hosts or you can visit nearby taverns. 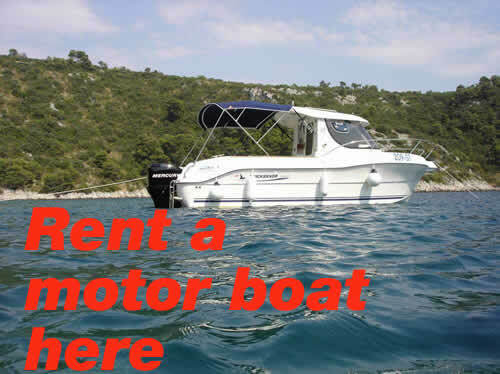 For more active holidays just rent a boat or take part in the fishing excursion which will be organized for you. 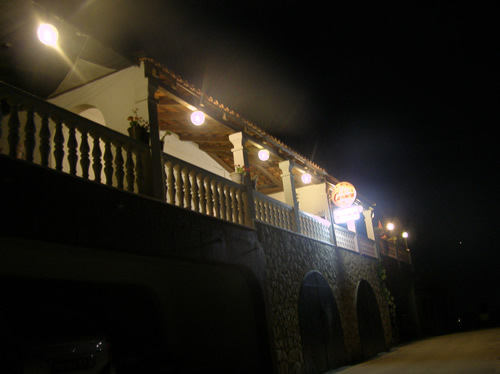 Apartments in Villa Carmen have a fully equipped kitchen with refrigerator, cooking utensils, TV and bath. Guests also have access to outdoor-grill. 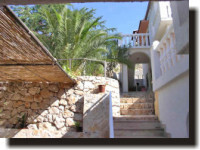 The local beaches,post-office,restaurants,shop, caffe are all within a few minutes walking distances. 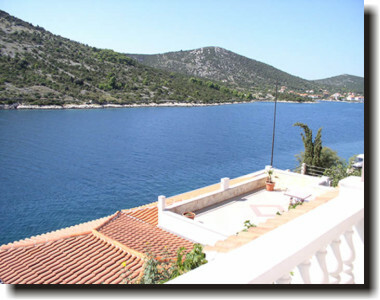 Apartments are situated in a mediterranean village Vinisce near Trogir between Split and Sibenik. 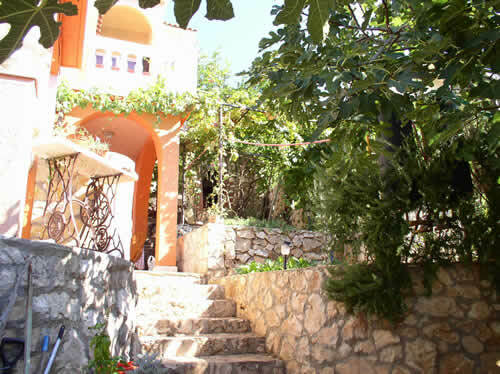 Separated from urban centers and daily rushes, close to sea and untouched nature, it is an ideal family resort. 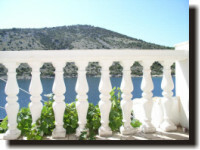 Every apartment (type: A4 or STUDIO) has a big balcony, and a view on the sea . 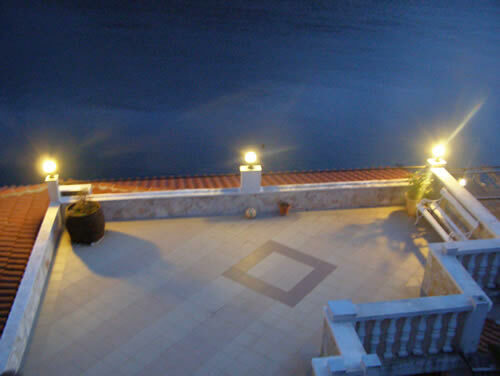 croatia holidays in Croatia Croatia accommodation accommodation Croatia Trogir accommodation accommodation Trogir Vinisce accommodation,accommodation Vinisce apartment Croatia,apartment Trogir apartment Vinisce apartment for rent Croatia Apartments and rooms in Croatia holiday apartments Croatia holiday apartments Trogir apartment for rent Trogir apartments for rent island Ciovo apartments for rent Dalmatia apartments for rent with sea view Croatia holiday apartments Croatia holiday apartments Dalmatia private accommodation Croatia private accommodation Trogir private accommodation Vinisce Dalmatian coast sea view Trogir holidays Dalmatia holidays islands holidays self catering holidays self catering apartments Croatia holiday accommodation Croatia holiday accommodation Dalmatia holiday accommodation Apartments have a fully equipped kitchen with refrigerator, cooking utensils, TV and bath. Air-condition is optional. 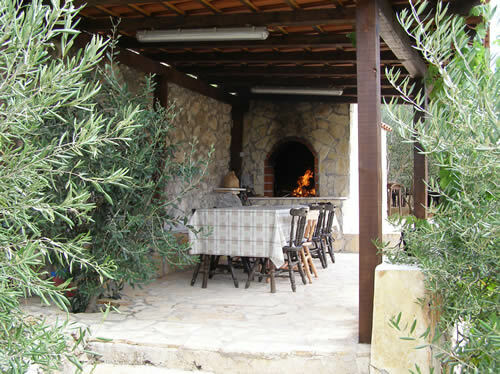 Guests also have access to outdoor-grill. 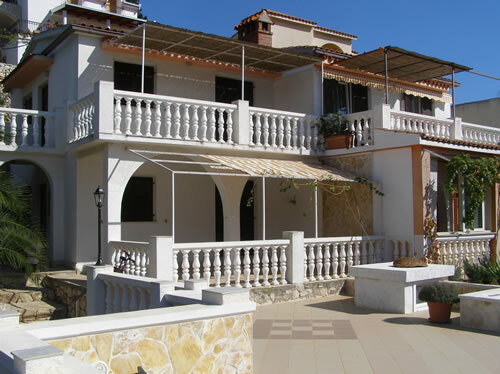 The local beaches,post-office,restaurants,shop,caffe are all within a few minutes walking distances, sea view. 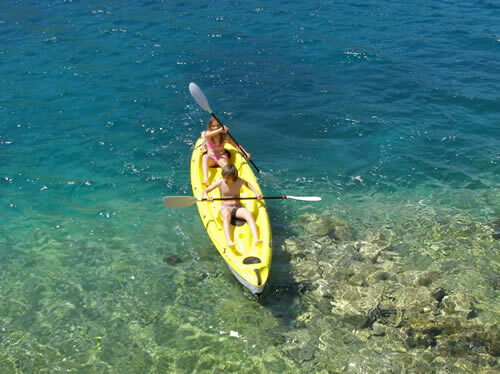 You can enjoy sunbathing on pebbly beaches, swimming in blue sea, windsurfing . 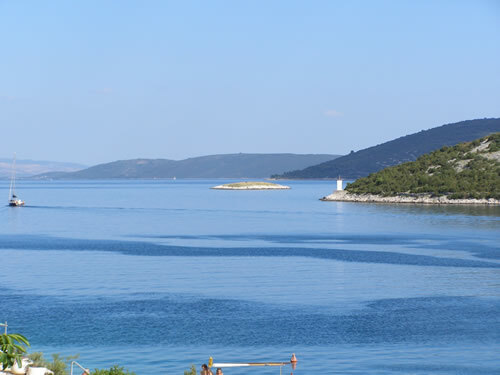 Trogir vacation rentals Croatia vacation rentals Dalmatia vacation rentals Trogir vacation rentals islands, all apartments with sea view - big terracess and balcony"> .